Do preferences for BRT and LRT change as a voter, citizen, tax payer, or self-interested resident? Interest in modal preferences remains a topic of high interest as governments make infrastructure decisions that often favour one mode over the other. An informative input into the infrastructure selection process should be the preferences of residents, since they can guide buy into support political and bureaucratic choice making. Cost–benefit analysis (CBA) uses the self-interest preferences of individuals as the relevant interpretation of ‘individual preferences count’, which in aggregate represent the benefit to society of candidate investments. However, the CBA benefit calculations can be rather restrictive with other preference metrics often being identified and used in various ways to inform the debate on infrastructure support. In this paper we assess how the preferences for bus rapid transit (BRT) and light rail transit (LRT) change with different roles the residents may play: a citizen or altruistic resident, a self-interested resident, a tax-payer, and as a voter. We use data collected in five countries to investigate preference differences and also to establish whether there is replicability of the findings across geographical jurisdictions. 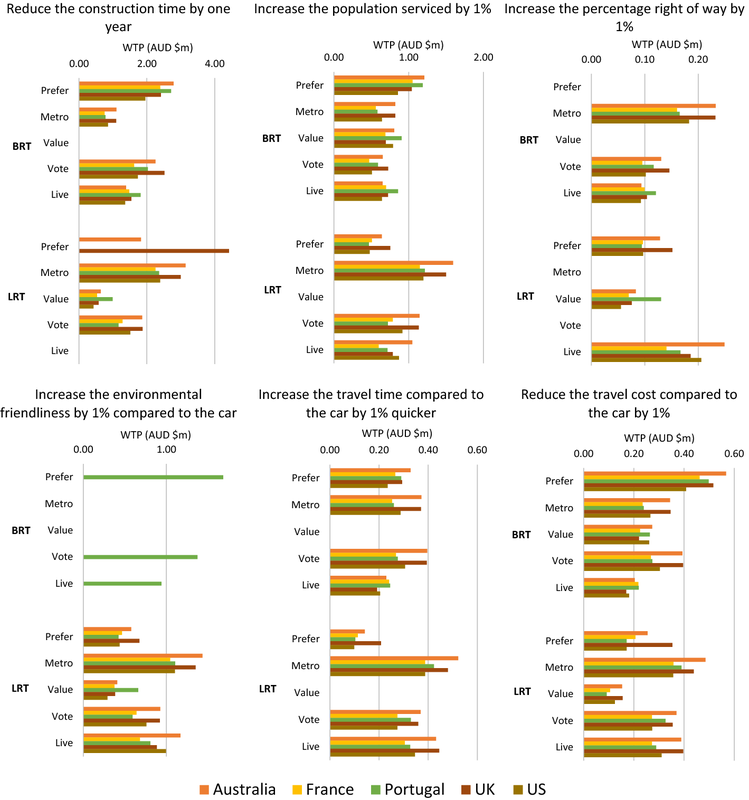 The findings suggest that there are, in general, noticeable differences in preference revelation across the metrics; however there are also both similarities and differences in the role of specific attribute drivers (as represented by willingness to pay, and magnitude of support for a specific mode) within and between preference metrics across countries. 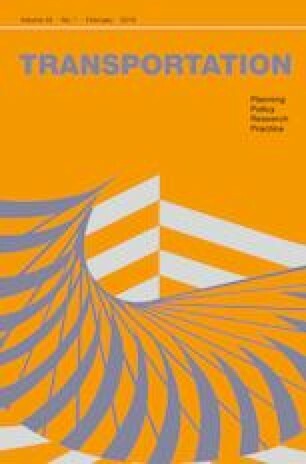 This paper contributes to the research program of the Volvo Research and Education Foundation Bus Rapid Transit Centre of Excellence (BRT +). We acknowledge the Foundation for funding support. The authors acknowledge the facilities, and the scientific and technical assistance of the Sydney Informatics Hub at the University of Sydney and, in particular, access to the high performance computing facility Artemis. The support of Theo Yeche and Patricia Aranda in translating the survey instrument into French is greatly appreciated. We also thank Rosario Macario (IST, Portugal), Anson Stewart and Chris Zegras (Transportation and Urban Planning, MIT) for their contributions in facilitating access to survey participants. The comments of two referees have materially improved the paper.